The flexible, interactive work of art! Create unique works of art using 3D Pin Art! 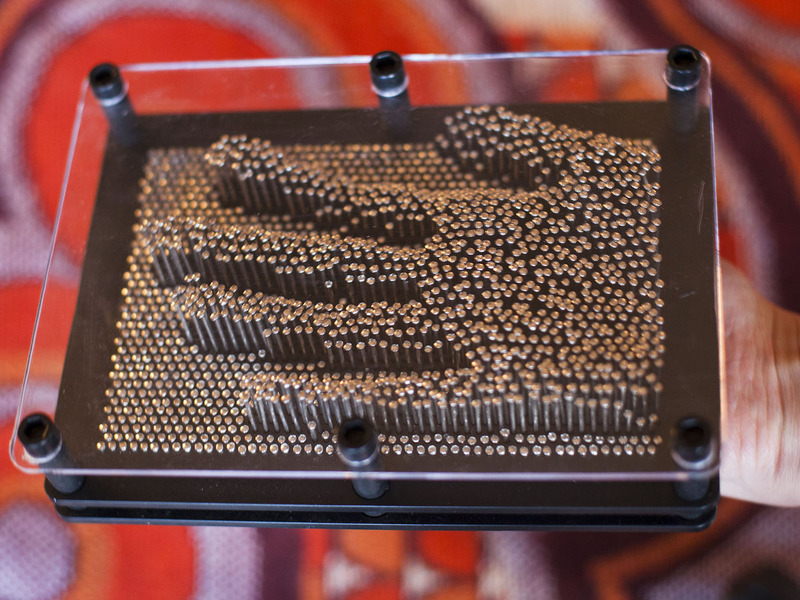 Once you have a 3D Pin Art in your home, people won't be able to keep their hands off it! Place an item or a body part against the back and then turn it over. The pins surrounding the item will collapse around it. All you need to do to create a great 3D impression is to carefully place the Pin Art upright. You can use your hand or your face but you could also use a piece of fruit or any other item that fits! 2000 holes have been drilled into two planks to create the Pin Art. The made-to-measure pins fit into these holes and kept in position by a piece of Plexiglas. 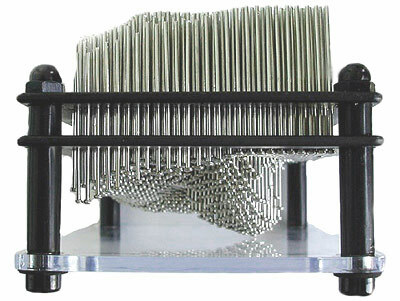 Create impressions of anything that will fit on the bed of nails! This means you can mix up the art in your home whenever you feel like it! 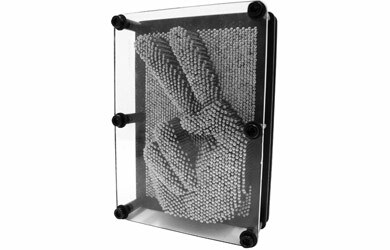 The 3D Pin Art is a great gift for creative minds!